A fantastic dual upholstery finish makes the Gulliver motion collection a breathtaking study of contrasts and a beautiful addition to your home. The L shaped sectional's casual style gets an upgrade in the form of plush, microfiber upholstered seats and a rich dark brown vinyl that wraps the arms and base. 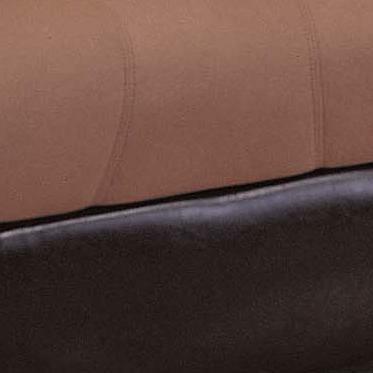 Mocha hued padded microfiber is further enhanced with detailed accent stitching on the sofa's seat and seat backs, while fluid lines and a smooth finish allow the richness of the leather-like vinyl to shine through. 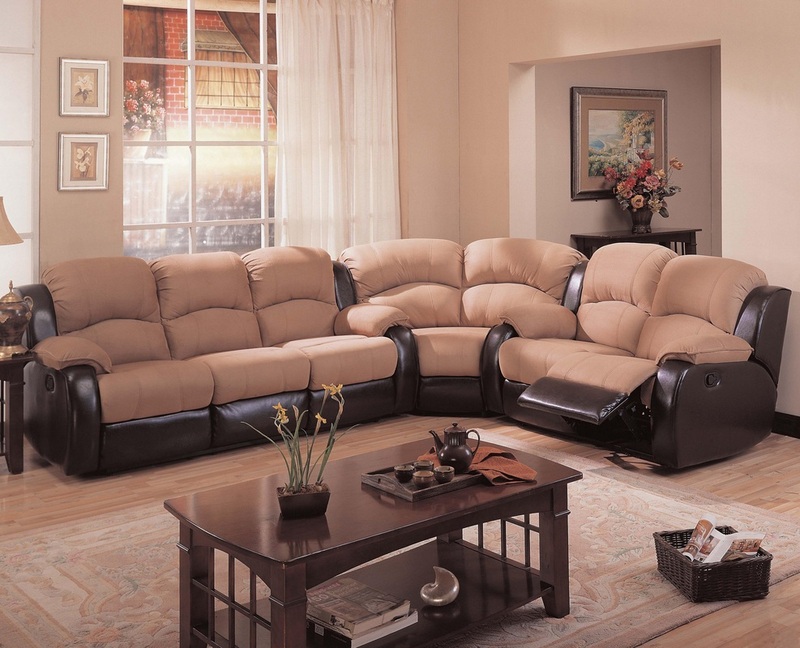 A dual reclining sofa and love seat are anchored with a rounded corner wedge for a stylish L shaped sectional that comfortably seats up to six. A coordinating rocker recliner echoes the plush pillow like seating and casual styling of the reclining sectional for a fantastic living room set.